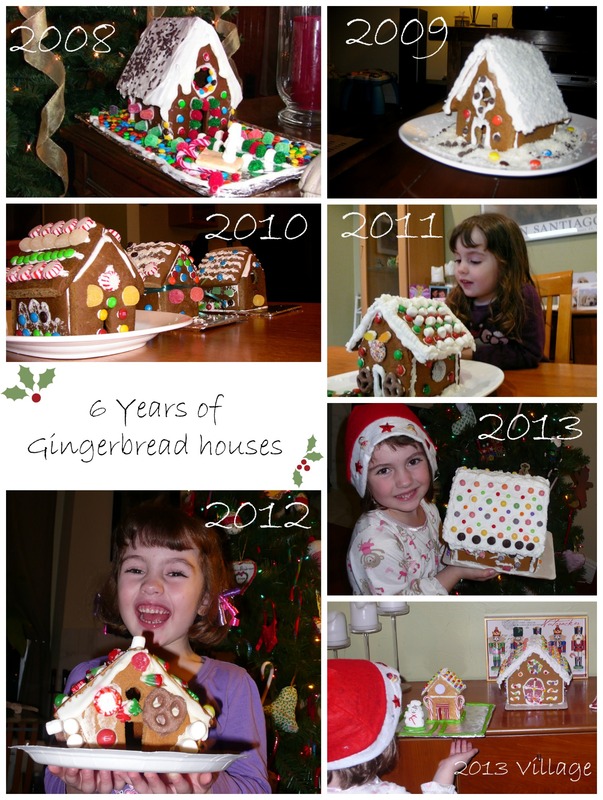 Every year, since my daughter was born, I started our Gingerbread House Family tradition. 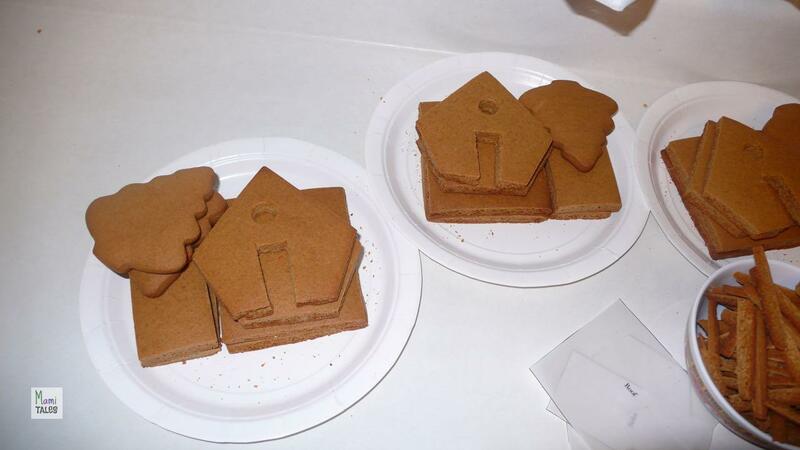 As soon as December starts, we begin putting together our little Gingerbread House party to share with friends the joy of decorating these sweet treats. I’m not religious, so I don’t really celebrate Christmas. My parents weren’t either, so there was never a “tradition” to follow as such… but my Dad’s family did have a Gingerbread House party at the beginning of December, each year. It was hosted by my Great-Aunt, on my Grandpa’s side. They were originally from Germany (Dresden, if I recall correctly), and the family was in Mexico when WW2 started. My Great Grandpa was building a brewery. After that, the entire family just stayed in Mexico and established roots there. The fact is that the “Little Houses party,” as we still call it to date, is what I most strongly associate with the December festivities. And that is something I do want to pass along to my children. My brother gave me a few pictures of the “Little House Party.” It is a huge event right now, and my tiny house and family can’t even remotely attempt to come close to that. But that’s where my inspiration comes from. 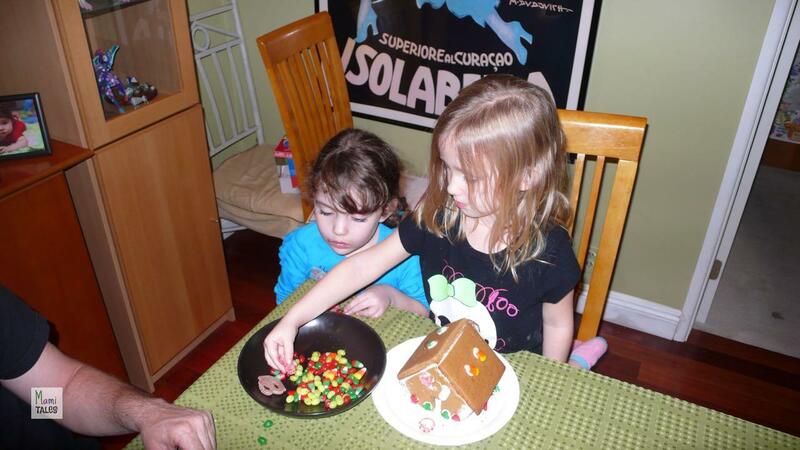 In 2008, for my daughter’s first Christmas, I looked online for a recipe and got to make my first House. I decorated it and made a little sleigh with a Pop Tart and some candy canes in front of it. 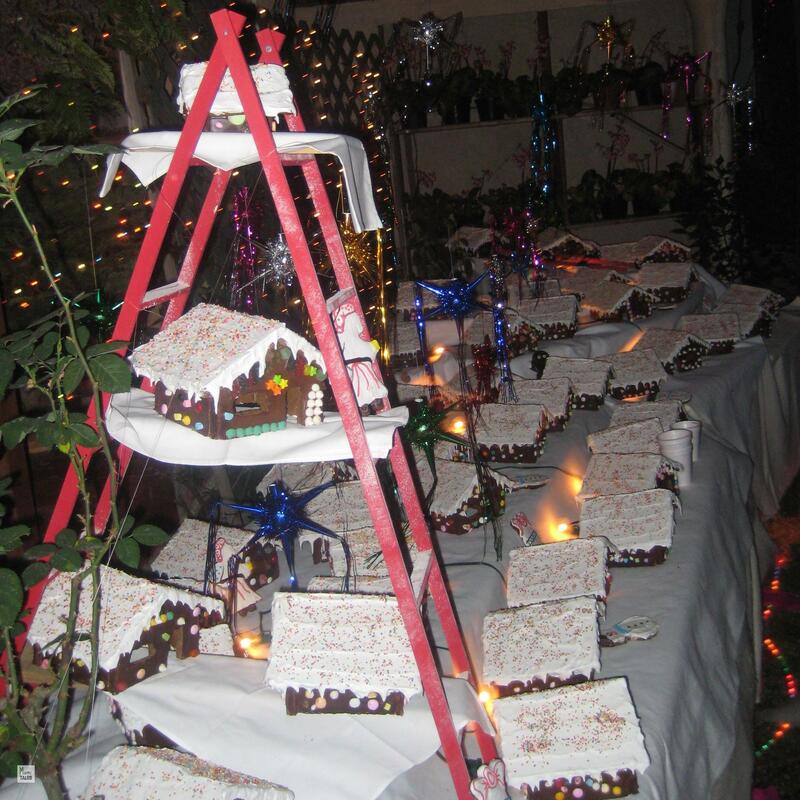 The second year, in 2009, we made two houses, and decorated them together. In 2010 we made three, and gave two away to our best friends and their kids. In 2011 it was the first time I invited another friend to decorate the houses. 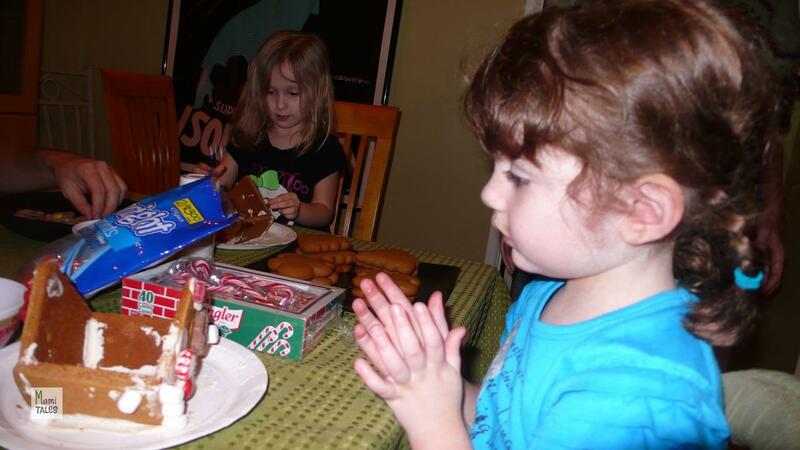 The girls were little, so we were busier helping them decorate everything than taking pictures. But in 2012 we did take a few pictures of the progress. What I did not know back that party is that I was expecting Tiny A! So last year, for 2013, I decided to buy kits to put the houses together, but we made the party a bit larger to include Little Miss I’s new friends from Kindergarten. I did make the Gingerbread men for the kids to eat and decorate, though. This year I plan to do the same. Our party will be in about two weeks, and I’m looking forward to having all the kits wrapped as presents for the kids. Maybe one day, when I’m a little old lady, I’ll have the time, grandchildren, and space to do something like the “Little Houses Party” myself! 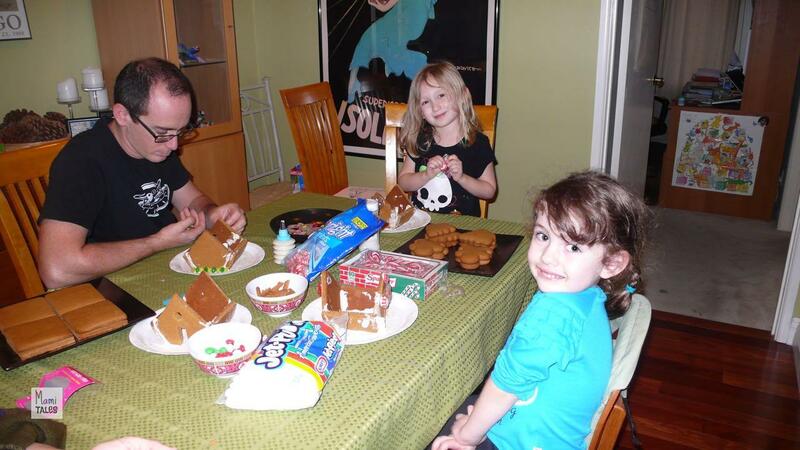 In the meantime, I’m just getting our closest friends together with their kids to spread that joy I used to feel when at the end of the party I got to go home with one of those gorgeous Gingerbread Houses. Tagged Baking and Cooking, Family, Inspiration for Kids. That is awesome – FUN! So looking forward to this year!! I hope to take enough pictures to write a new post on our party this year!